Sailors often have to patiently wait out the capricious winds, tides, and storms, but there is one sailing ground where the conditions are always perfect: the Internet. 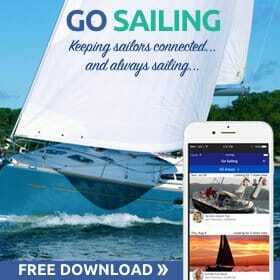 ASA offers online sailing lessons to get first-timers, or those who need a refresher, up to speed in advance of an outing on the water! 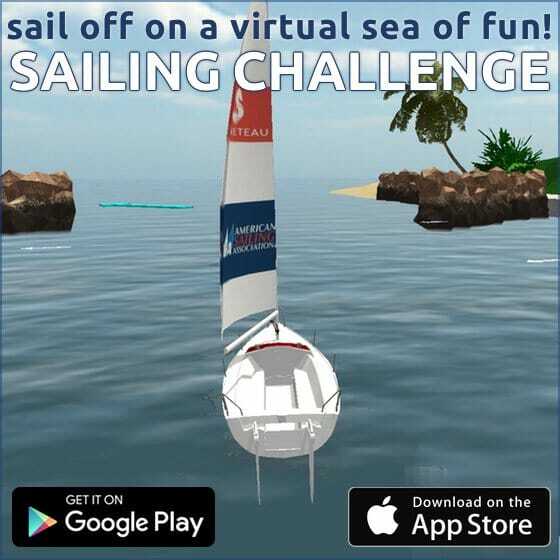 Of course, getting outside with the wind and waves is always preferable to getting in front of a computer, but ASA’s online sailing lessons can help you prepare for that first trip out, and give you something useful to do when real sailing just isn’t possible! 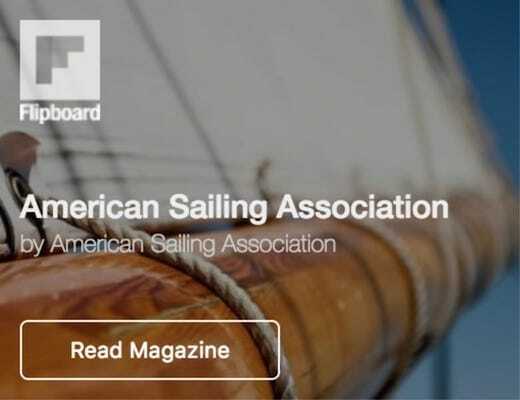 Our online courses are developed by the same expert sailing instructors who create ASA’s internationally recognized certification standards! Going sailing for the first time can be intimidating. The boat is a foreign environment to most people, full of a lot of strange lingo and unfamiliar equipment. 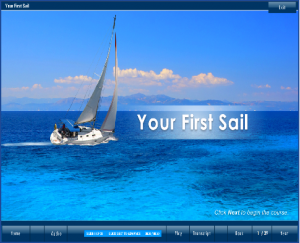 Our e-course, Your First Sail, is designed to kick start your sailing dreams by getting you comfortable with the basic concepts of sailing so that you can feel more confident right off the bat. 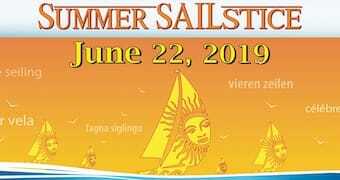 Your First Sail is geared especially toward those who have never sailed before, those who have sailed a few times as someone’s guest, those who are getting ready to take a sailing class, and those who just want to be more helpful the next time they’re out on a friend’s boat. It takes about 30-45 minutes to complete, and is full of interactive games, puzzles, and diagrams to keep it fun and help you retain information. The parts of the boat. 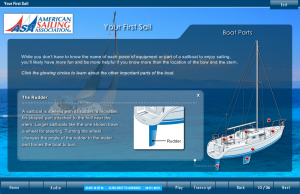 You can get a head start and lay a solid foundation before you ever step foot on a boat! 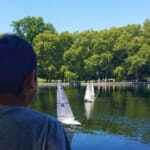 There is no substitute for the hands-on learning of an ASA in-water sailing course, but brushing up on the basics in the comfort of your own home frees you up to get the most out of that experience. That way, you’ll go into it ready to learn and absorb, not intimidated or worrying so much about picking up the vocabulary and fundamental concepts. 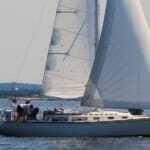 After all, the reason many people sail is to experience the rush of freedom and exhilaration that comes from successfully maneuvering the boat on the open water. So take the first step toward that freedom, right here!